These free vintage illustrations of wild animals and mammals are free to use in your personal and commercial work without permission. Please link back to freevintageillustrations.com when sharing these images online. 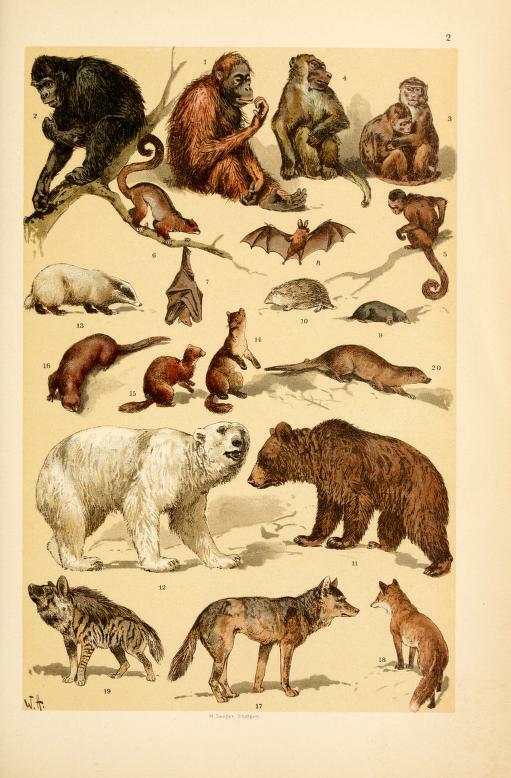 These antique animal drawings fear polar bears, small mammals, primates, wolves, and more animals.